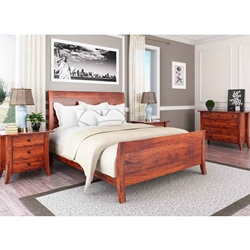 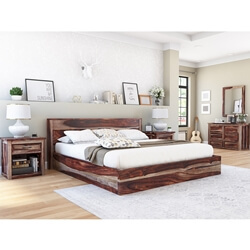 With our Roanoke Handcrafted Solid Wood Bedroom Set, you can visually take your bedroom to the next level. 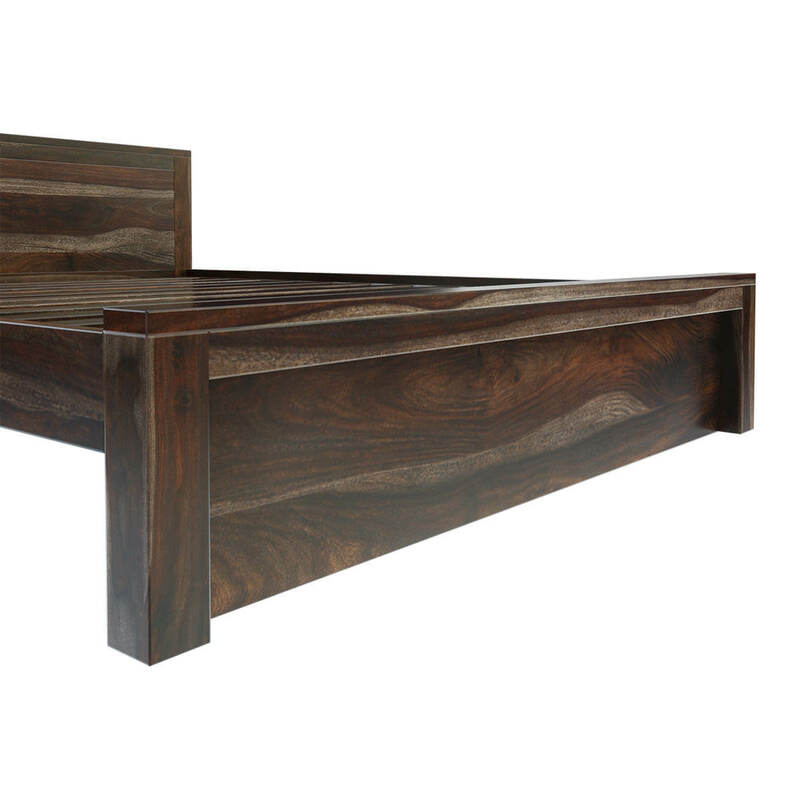 With simple lines and modest height headboard, the Roanoke makes a statement of looking established with understated elegance. 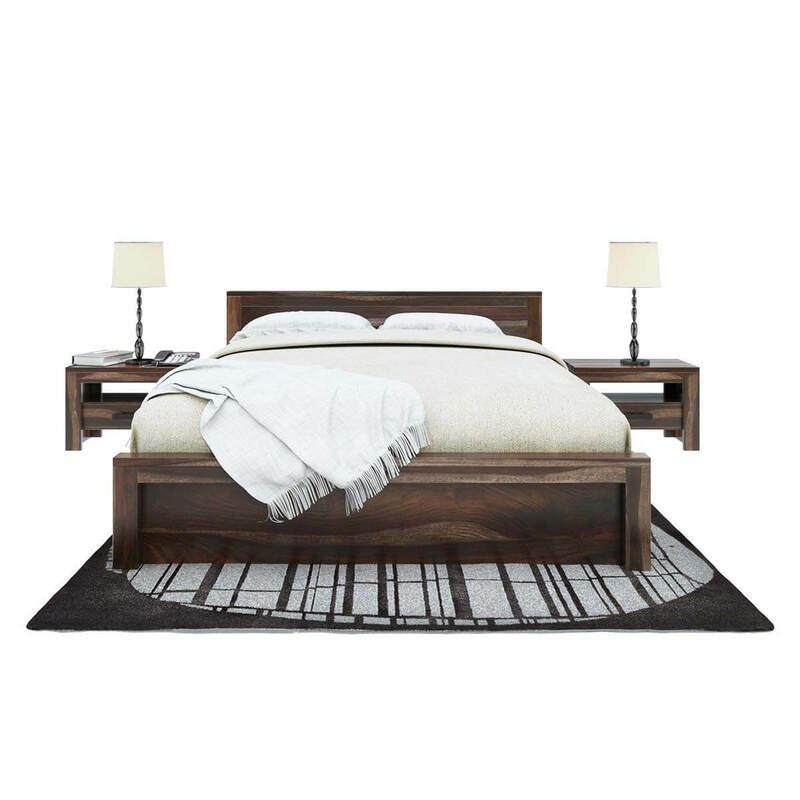 The solid wood construction offers durability while its distinctive light and dark natural wood pattern add to its overall aesthetics. 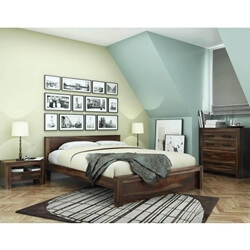 The bed is complemented by two nightstands. 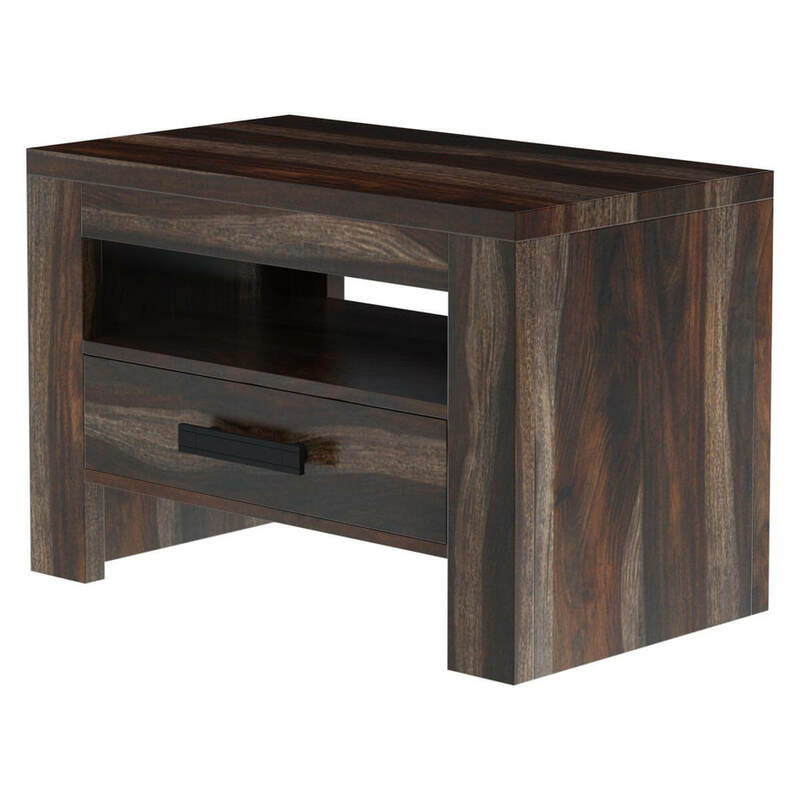 The nightstands are large enough to accommodate a lamp as well as your electronics and other personal items. 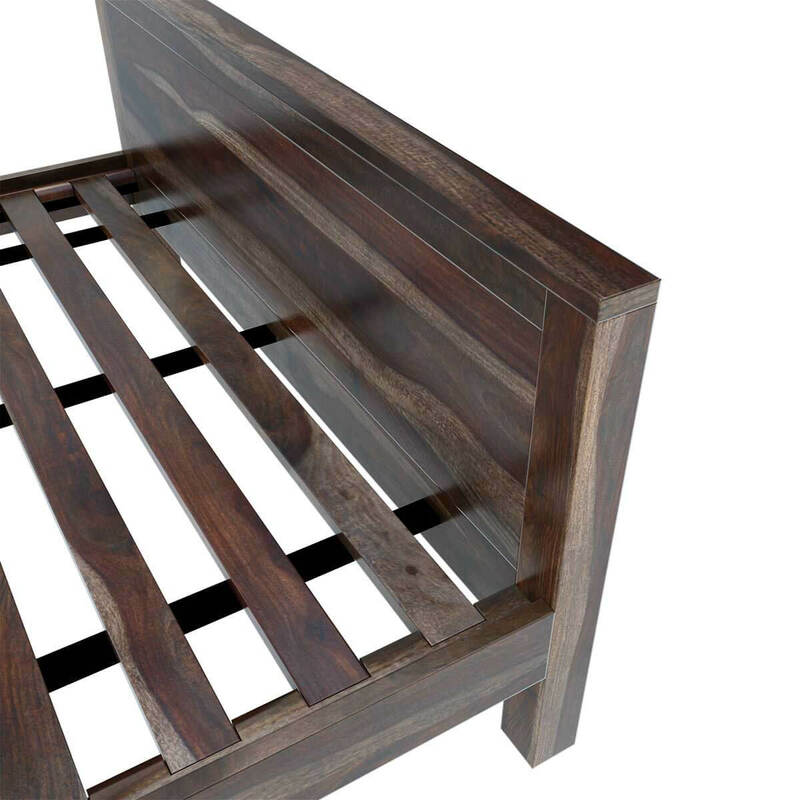 The open shelf below and one pull out drawer offers additional storage. 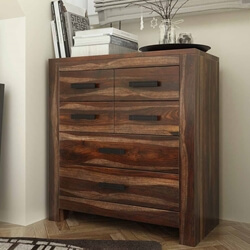 The chest is uniquely configured to have 2 larger bottom drawers and 4 smaller upper drawers to better accommodate your storage needs. 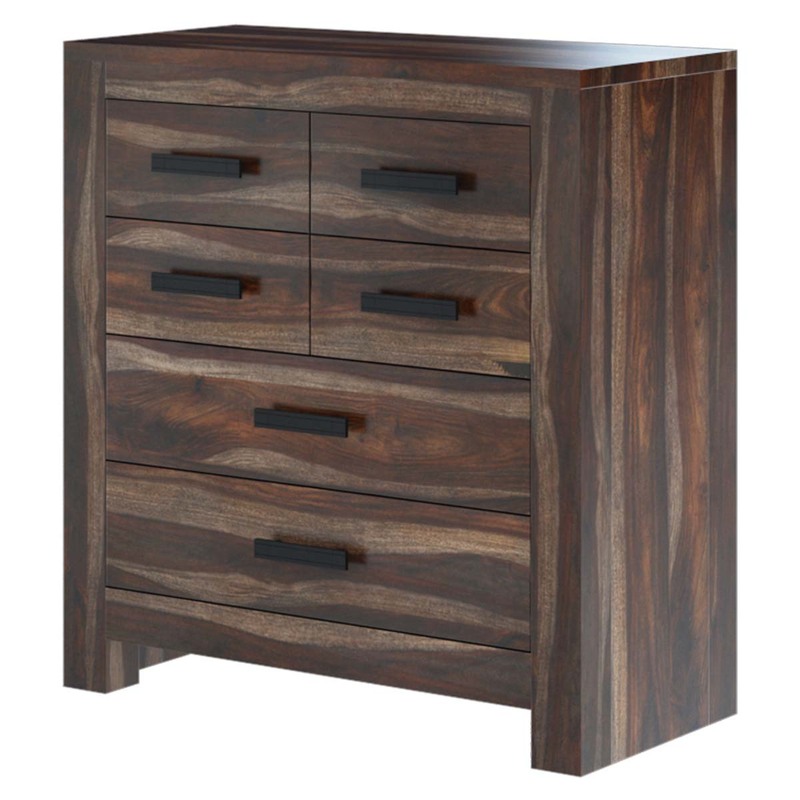 The handles are hand forged metal that complements the entire collection. 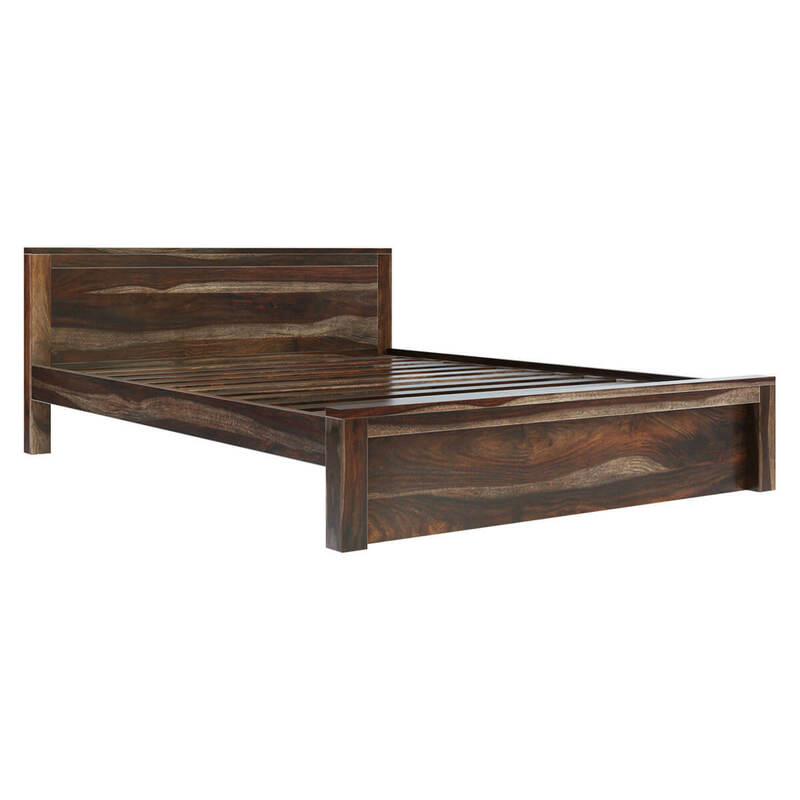 The bedroom collection is exquisite, functional, and durable, making it a prized possession for years. 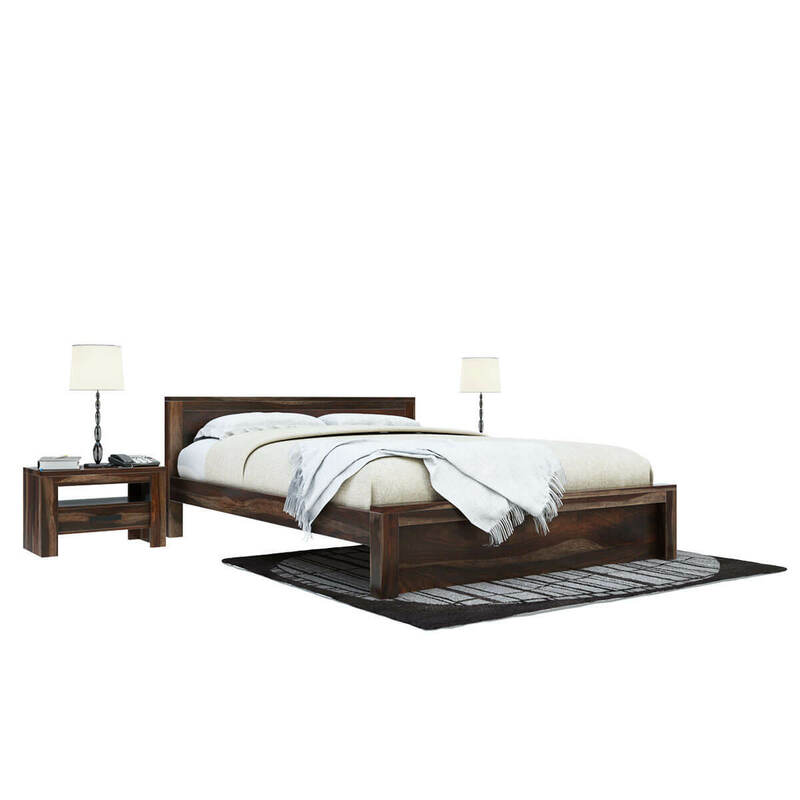 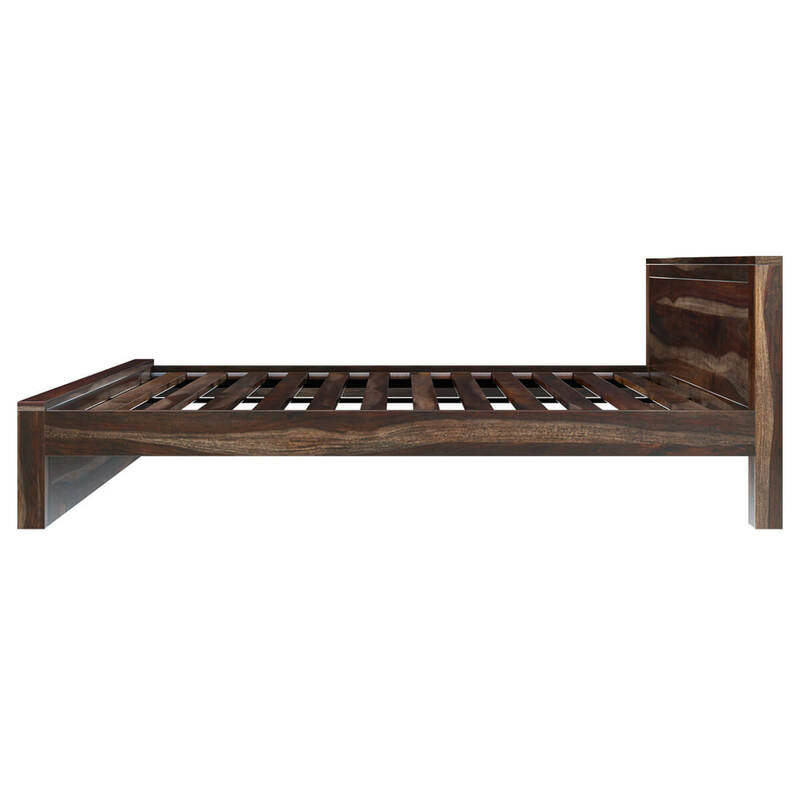 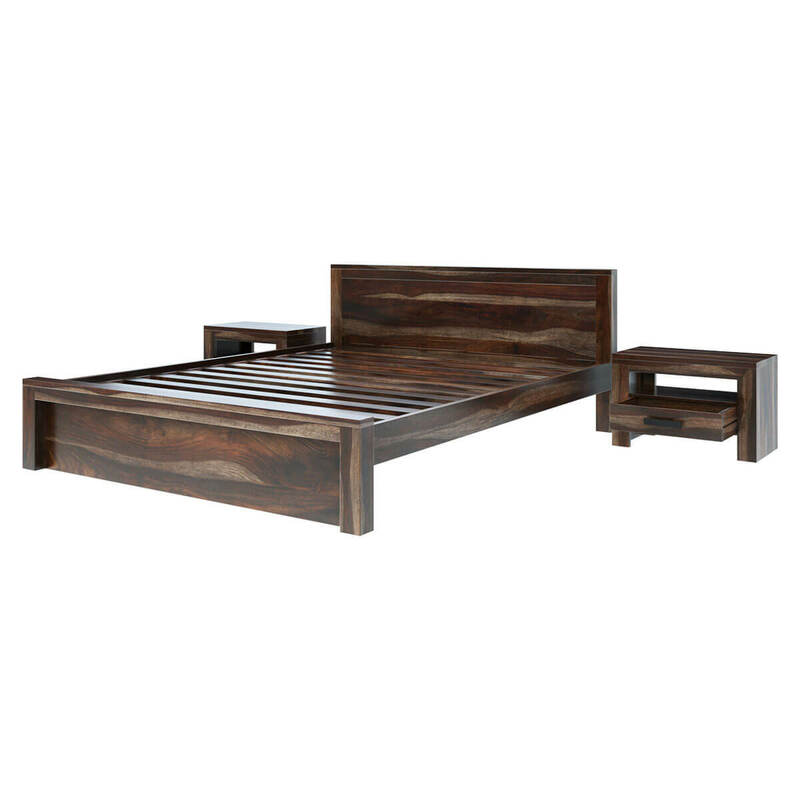 Made from solid Rosewood with hand rubbed stain and finish, the items in the collection make the room alluring and warm.